Kick off Labor Day weekend and wrap up another beautiful summer on Lake Granbury! Designed to be great fun for both visitors and locals alike, this festival promises to be a great way to celebrate the end of summer and to kick-off fall! This Lighted Boat Parade tradition continues to grow every year, and it&apos;s worth the watch! Dozens of boats travel from bridge to bridge for this beautiful spectacle. Have your own boat? Gather at Stumpy&apos;s to join the parade! 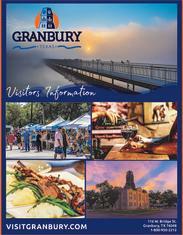 For more information on Labor Day festivities, contact the Historic Granbury Merchants Association. This year&apos;s Labor Day Lighted Boat Parade is scheduled for Sunday, September 1, 2019.